Secluded in a beautiful valley a mere wave crash away from the sea, this 15th-century cottage offers an idyllic retreat from the pressures of everyday working life. Full of original features and character, it offers the opportunity of a romantic break for two, or a holiday for the whole family. 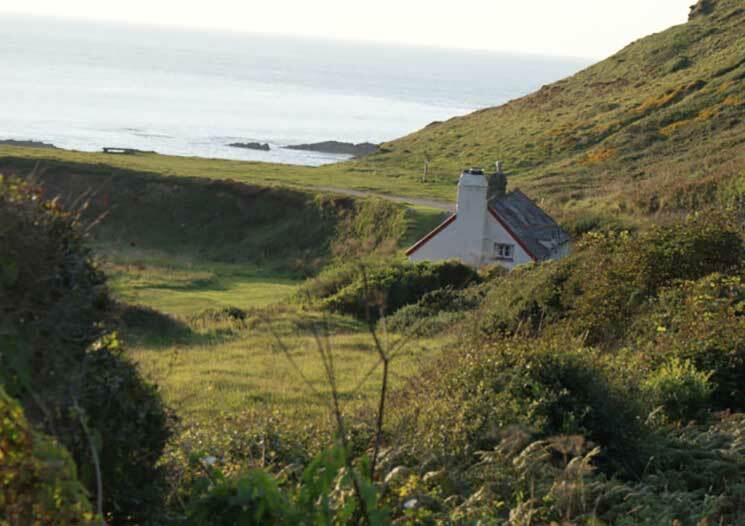 The unspoilt beach that the property overlooks provides unlimited access for fishing and bathing, as well as allowing you time to relax in the haunts of the BBC’s adaptation of Sense and Sensibility, parts of which were filmed here in 2007. A variety of cliff-top walks offer the chance to get back to nature and enjoy the benefits of the bracing Devon air. With the perfect combination of Atlantic views, designer rooms and a modern restaurant, quality is guaranteed at this boutique hotel. Take in the coastal scenery and watch the sunset in the lap of luxury as you enjoy a glass of wine on the terrace, or take pleasure in a stunning shoreline walk after a breakfast of fresh local produce. With the town centre of Newquay less than 10 minutes away by car, there is no shortage of things to do, whether you fancy a few rounds of golf, or something more adrenaline-fuelled such as surfing or wave skiing. Themed rooms such as ‘Keepers Loft’ and ‘The Captain’s Cabin’ ensure that a short break at this beautiful lighthouse is a truly unique experience. With 360° views of the English Channel and a wealth of fascinating history dating back to 1832, the hotel has earned itself celebrity status. In 1986 the property was purchased temporarily by the BBC so that it could be used in the making of Fay Weldon’s Life and Loves of a She-Devil. During the Second World War, the lighthouse suffered shell bombardment as Canadian troops used it for target practice, and after several exchanges of hands, the building was finally restored to its former glory in 2009. With awe-inspiring views of some of the most impressive scenery that North Wales has to offer, the Quay Hotel is the perfect expression of sophistication. Looking out over the tranquil Conwy Estuary, the accommodation offers the highest level of rest and relaxation with its accompanying spa and aromatherapy treatments. For absolute luxury and indulgence, the hotel offers four penthouse suites, all of which are complete with a Jacuzzi bath and private balcony. There are also a further 15 spacious suites available. Built by Lord Wellesley in 1935, this former private family home is now leased by the National Trust and is furnished in a fabulous Art Deco style. Maintaining its character with several original features and beautiful period furniture, this luxury villa also takes advantage of its position with south-facing views of Portland Harbour. The house boasts a beautiful entrance hall, seven grand bedrooms and an elegant dining room, as well as two broad terraces on which to sit and watch the world go by. With the historic harbour town of Weymouth at the end of the drive, there is the option to either retreat and relax or socialise by the sea. Situated at the bottom of Robin Hood’s Bay, the sea almost laps up against the side of this quaint former 17th-century inn and coastguard lookout station. Previously the site of a marine life study centre, the lower floor still contains interpretative displays and education rooms, while the holiday cottage occupies the entire second floor, complete with fantastic sea views. The property has been a holiday cottage since 2000, after being purchased by the National Trust in 1998. Surround yourself with a history of smugglers, shipwrecks and sailors, as you unwind in this historic fishing village full of folklore and legend. Dating from a time when the sea was the only mode of transport around Scotland’s shores, this picturesque and traditional fishing cottage looks straight out onto the rolling waves. Set among a cluster of around 50 cottages which date back more than 150 years, Crovie Cottage adds significant charm to this unique conservation village, which has been named as one of the best preserved fishing villages in Europe. If you follow the winding path out of Crovie, the adjacent village of Gardenstown is less than a mile away. Look out for bottlenose dolphins as you navigate the coast. Picturesquely located on the water’s edge between Yarmouth Castle and the pier, this hotel offers a historical step back to a 12th-century town. Complete with four-poster beds and wooden panelled décor, The George ensures that your stay is nothing short of elegant. The building was originally a 17th-century townhouse, and the hotel witnesses a wealth of colourful activity all year round. With the offer of seafront dining, the hotel ensures that you can relax and watch the waves over dinner with a glass of wine in hand. As the oldest town and seaport on the Isle of Wight, Yarmouth has much to offer for both new and returning visitors.